Here below you can get all the details about our most recent repairs in Jacksonville and the local area. From replacing broken panels and springs to fixing openers and remotes, we are your team for the job. Our Solution: Our team inspected the rollers and tracks and found the cause to be the latter. One of the horizontal tracks was bent and wouldn't let the rollers move, which caused the door to get stuck. We replaced it with a new track and then made sure there were no other underlying problems. Customer Issue: Sensors not working. 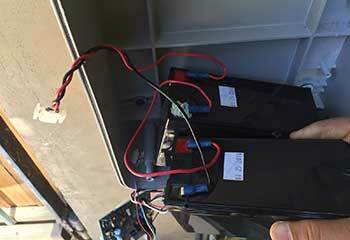 Our Solution: We checked the sensors and immediately discovered that their lenses had become terribly scratched. We then removed them and installed new photo-electric eyes in their place. After making sure the new sensors were aligned correctly and tested the door again and it no longer reversed. 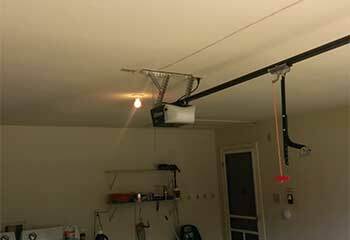 Customer Issue: Garage door not responding to clicker. Our Solution: After confirming the problem wasn’t caused by batteries that had run out or issues with the opener unit, we programmed a new Chamberlain key chain 956EV remote control and it worked. 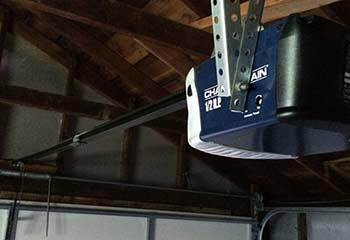 Customer Issue: Chain hanging loose on Craftsman 54990 garage door opener and makes a lot of noise. Our Solution: We adjusted the tension in the chain, taking care not to make it too tight. We tested the door to verify that it was functioning properly. 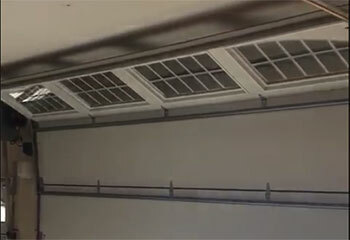 Customer Issue: A garage door that comes down too hard. 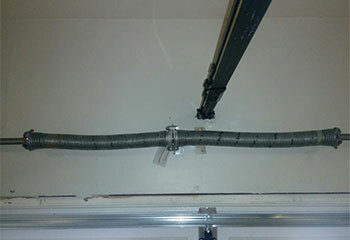 Our Solution: During the garage door inspection, we discovered that the wrong sized extension springs had been installed. We weighed the door accurately and installed a new set of springs.